Spanish premiere of Jia Zhang-ke’s latest movie following its screening in the official competition at the Cannes Festival. China, 1999, two childhood friends court a young girl from Fenyang. One has his future mapped out for him, but not the other. The young girl’s heart is divided between the two, but she must take a decision that will mark her life, and that of her son. 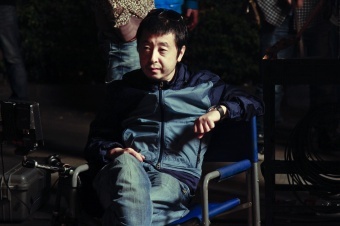 Jia Zhangke debuted as a moviemaker with the film Xiao wu in 1998. Other titles by him are: Zhantai (Platform, 2000), Ren xiao jiao (Unknown Pleasures, 2002), Shijie (2004), Sanxia haoren (Still Life, 2006), winner of the Golden Lion at the Venice Festival in 2007, Er shi si chent / 24 City (2008), premiered in Zabaltegi at the San Sebastian Festival and A Touch of Sin (2013), winner of Best Screenplay in Cannes. He has also directed the documentaries Dong (2006) and Wuyong (2007), both recipients of the Orizzonti Award at the Venice Festival in 2007 and 2008, respectively.